Abridged. Some communications are paraphrased to protect anonymity. In some cases the full text of reviews can be found at Amazon. Please treat these as you would any anonymous, unattributed commentary. "More drama then you would find in most fiction." "A must-read for families of those with post-concussion syndrome." "Totally absorbing. You can't put the book down." "The Ghost in My Brain—a masterfully accurate and well-written book"
"Thank you, thank you, thank you. I'm telling my friends, 'Read this book and you'll know who I am!' I'm telling my family, 'Read this book. This is my life. This is what happened to me.' I'm storming back to my neurologist's office this afternoon to tell him, 'You see! I was not lying. I am not crazy now and I never was. This is what happened to me. This is what I've been trying to tell you all these years.'" "I'm a physician and have worked with such patients for years in my practice, but I am humbled by your tour de force of a book." "Dr. Elliott [I apologize for stopping you on the street, but I recognized you from WGN...] I am so so SO excited after reading your book. It was a godsend to me. What made you think to just keep going like that? How did you do it? You're such a hero to me. I just want you to know that I've been walking around for a month thinking, There's hope for me / I'm not alone / There's hope for me / I'm not alone." "What people don't realize is what a great STORY this book holds. You can't put it down! It's a shoo-in for the academy award if they ever make the movie. What a triumph of the human spirit: you, Markus and Zelinsky." "Yours is a stunning book of great complexity, but also of great compassion. It will be read for decades." "Dr. Elliott, I just had to call you and say thank you. Although I never had a concussion, I have suffered from [a medical condition] which required brain surgery. I've had so many of the symptoms you describe, and for so long. My doctors are good and they care about me, but reading your book has brought me a much more profound understanding of my condition, and also given me hope in ways that years of everything else under the sun, including years of psychiatric treatment, never did. They don't get it. You do. And now I do." "I don't have brain injury, but this is the most accessible book on the practical functioning of the human brain I've ever read. I'll never see myself, or any other human in the same way again. Absolutely profound. Stunning." "I'm the son of a woman in her eighties who was in a car crash two years ago. She has been exhibiting so many of the symptoms you describe in your book. She kept telling us I'm NOT old. I have not changed, except from the car accident. I KNOW everything that is happening to me is because of the accident, but we didn't take her seriously. We just thought, she's eighty, she's old. She's getting senile. Oh my God, what a mistake we made. The neuro-optometric tests absolutely confirmed what you said in the book, and she is already on her way back to us. She said, You write to Dr. Elliott and tell him how important this is to me. Before I die I just wanted someone to believe me. You gave our mother back to us. You can't know how important this is to our family." "I was in the military and suffer from a blast-related mTBI. I am writing to tell you that you are the first person to believe me in six years of living with this hell. Thank you Dr. Elliott. I just have tears pouring from my face that you know what I've been through. Everyone else thinks I'm crazy and making it up, including every last doctor I have seen. They give me Vicodin and tell me to see a psychiatrist for my mental troubles." 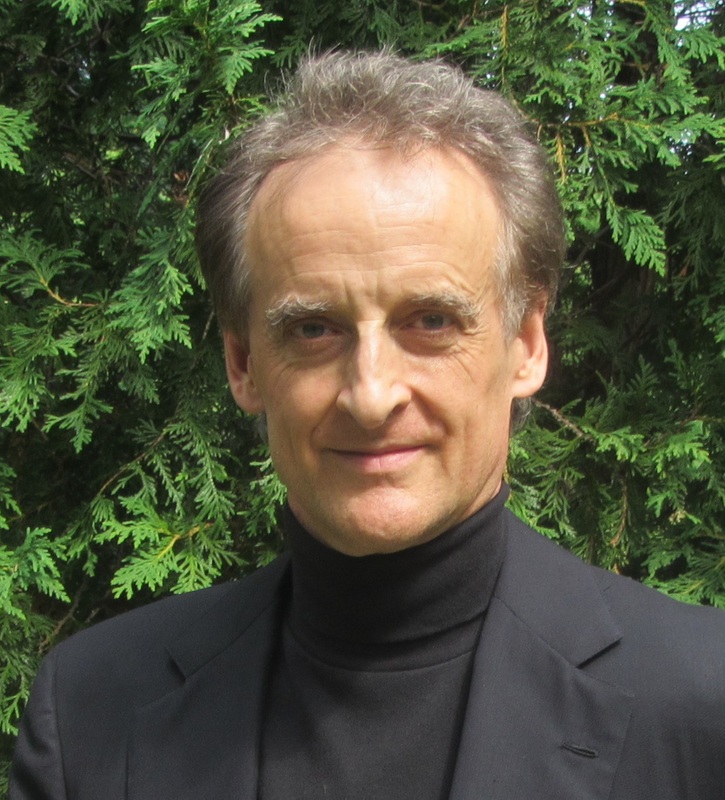 "The author's journey through recovery from a concussion is absolutely remarkable. Neuroplasticity is a fascinating topic as well. Would recommend this to fans of Oliver Sacks. Great book!" "You have explained so clearly what I have tried to explain to others for five years that I have tears running down my face in gratitude." "Most often when people suffer a concussion they do not experience anything near the degree or length of symptoms as Dr. Elliott. But for those of us who draw the short straw—and for our families—his account is absolutely invaluable. [...] Here was confirmation that the symptoms I'd experienced were real: that you really can be incapable of making simple decisions, of getting out of a chair, managing everyday tasks, or even feeling human, all while feigning normal for the outside world." "I've tried over and over to write a long review about how much I liked this book, but the truth of the matter is, I just keep getting lost for words on this one. [...] The book is incredibly insightful, sobering, and thought provoking. Highly recommended reading for those with an interest in the topic." "Dr. Elliott's book is a must read for anyone who has experienced or knows anyone dealing with traumatic brain injury/concussion. He eloquently describes and actually puts into words for me things I have gone through for years but have not been able to explain to anybody or get anyone to understand. [...] I feel I have found a kindred spirit in Dr. Elliott. He is someone who truly understands and can 'see' what is happening inside my head that is mostly invisible to the rest of the world." "I, like Clark Elliott, suffered a (supposedly minor) concussion that, more than a decade later, continues to profoundly affect my life. I can't hold regular employment. My bouts of brain fog and fatigue rule every minute of my day, every day. I have had to simplify my life, strip it down to spartan basics just to get through my day without being overwhelmed. Given enough time I can perform some complex tasks, such as writing novels and painting, but I have difficulty with speech, simple decisions, daily routines and driving. "[My] Doctors prescribed anti-depressants and Adderall. Beyond that, they were not interested in any brain injury patient [as long as I] knew which end of the toothbrush the paste went on. "I do not know Mr. Elliott, but I can assure you that the problems he reports are true of many, including the failure of people around him to comprehend his disability, and the failure of the medical community to provide adequate treatment." "Just check it out! It has already helped me understand many of the things that I have gone through! I highly recommend it." "I was thankful that a brainy professor was able to articulate his field of experiences, trials and errors. His accidental discovery of these miracle workers gave those of us out in the confusing world of TBI hope as we travel his path. Those neurologists who yell at their concussive patients, 'There is absolutely nothing wrong with you!' should be presented this book." "I gave this book a five-star rating because it was so hard to read. It was so real that I had to put it down each time well before I was too brain fatigued to have to. Elliott is braver and more innocent, in a way that is hard to describe, than any concussive I have ever known. The book brought back memories of the most difficult periods of my brain injury. I read a sample of the book at first, and in a cafe one day, when I came to the place where he knows that the Ghost is back, as he did with that realisation, I burst into tears. It was overwhelming to think that he could reach that healing...and that possibly I could too. It was not from a thought process that I reached the spontaneous point of tears, but from a constantly held desire and a belief that it was possible, which had gone underground. He refuelled my fight. And, I cannot thank him enough for writing this book." "I listened to this book and heard answers to many brain issues that have occurred in our family for years. The clarity with which Elliott writes regarding his experiences through his ordeal is excellent." "The book has a great description of what it's like to have a TBI. I point especially to p. 71, around The person we have always known is strangely missing. As a TBI victim myself, I've often thought that, but never said it so well." 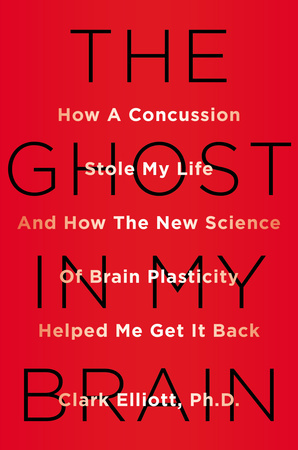 "For those with concussions and related brain 'oddities,' reading this book could be a life-saver, literally. It made me feel not crazy for the first time in the eighteen months since I was rear ended. I am ever so thankful to Clark Elliott for documenting his journey, persisting for eight years in looking for solutions, and for publishing this book. Every single person I've given this book to has been touched, in some cases, quite deeply." "I am a clinical psychologist who often works with veterans. This has given me new information to work with and hope for their futures. I highly recommend this book!" "It's time to bring this issue out of the shadows. I'm convinced there are tens of thousands of people in similar situations. I was one of them. I'm one of the lucky ones. I found the people in the neuroplastic community that could take me over the finish line. The era of shoulder shrugs and offering anti-depressants is overdue to come to an end." "Dr. Elliott, your book amazed me. I read it because I have a friend that has dropped off a ledge after a minor hockey concussion and I thought I might be able to get some insight. What I found instead was a stunning exposition of my own capabilities, and a new-found appreciation of the way I manage even the simplest tasks every minute of the day. An almost unbelievable introduction to what it really means to be human." "I thought, 'Oh my God, someone has finally described how hard it is for me to manage even one thing at a time, and how I end up completely paralyzed in five minutes just from trying to follow what someone is saying to me.' I want to cry, I'm so grateful. I've never been able to come up with words to explain it to anybody." "Hello Dr. Elliott. I read your book last week and am writing to thank you for chronicling your TBI journey. In addition to other serious conditions I know what it is to live with TBI. Your book was encouraging, evocative and validating, albeit at times very difficult to read as it resonated so deeply with my own newly learned truths about life after concussion. I have recommended it as a must-read to my neurologist, optometrist, psychotherapist and speech pathologist as well as to my parents and several close friends. And I will continue to recommend it to anyone affected by TBI, for your work says so much that needs to be said, processed and understood. I am thankful that you persevered and that you found the help that reunited you. It remains my hope that my ghost will one day re-integrate." "Clark—Your intelligence is great, your knowledge of artificial intelligence is excellent, and your knowledge of brain anatomy and function is impressive. AI scientists will study your book in detail." "Dear Dr. Elliott, my young daughter has had years of occupational therapy due to a sensory processing disorder affecting her balance, vestibular system, etc. For my daughter, it was many years of different therapies that assumed it was a physical problem, but when we finally saw an occupational therapist who made the connection with his vestibular system and how they all work together, he started to improve dramatically. "Your book provided great insight into the connection between the visual and vestibular, and the impacts on cognitive load, etc. "Just wanted to write a bit of fan mail and to let you know that I've been recommending this book to people as a great resource for getting inside the brain of someone with TBI or sensory processing issues. Thanks so much for helping me understand better!" "Hi Dr. Elliott, I am a nurse and I came across a video on youtube where you are discussing your head injury and the steps you took to overcome it. I too suffered a concussion--at a soccer game over two years ago--and have somehow lost a part of my life. The doctors tell me my eye tests, CT scans, MRI are all normal, but the TBI affects my mood, my relationships, my job and has lead to depression and anxiety because I can't seem to find a way to get better. I am desperate for any sort of link to how I can feel 'normal' again." "Dear Prof. Elliott, I didn't suffer a TBI, but while I read your book I found myself recognizing symptom after symptom. You see, I've had three strokes—in my twenties. Lest you think I might be crazy (a worry that I was so glad to hear you too struggle with in your book—the "but you look fine" line wore out it's welcome LONG ago), I am a graduate of [famous technical institute] with a BS in Engineering, and an MS in [science]. I landed a prestigeous job, but had my first stroke a month after starting my career. "I can no longer work. I can no longer drive. My handwriting shrivels up to an illegible scribble after about half a line. Noise bothers me. I'm photophobic. I can't find where I am on a map, which is kind of a big deal given my profession. And I would take it all—every last Godforsaken symptom—if I could shake the exhaustion I feel. I long to wake up and feel what I used to, which was possibility. I can barely remember what it felt like. "I can use all the help I can get. The first step is going to be sharing the book with my mother and mother-in-law, who like so many who misunderstood your own difficulties need to be convinced that this is a symptom of stroke, and not me being difficult." "Dear Dr. Elliott, from the bottom of my heart--thank you for writing the book "The Ghost in my Brain." I have lived with post concussive syndrome for fourteen years, six of it without a correct diagnosis. [Because of it] I've lost a marriage, family, law practice, friends and social support. I also lost myself bit by bit along the way. But like you, and thanks to my faith in God, I never gave up. I just got to page 212 in your book and it's all I can do to not get the car and drive to Chicago to start the same treatment you did. It feels wonderful to have hope that I can regain some semblance of the old me. That gift of HOPE you have given me is priceless. Thank you for not giving up and for sharing your story." "Dr. Elliott, even though you don't know me, I am so very proud that you wrote this book. I feel inspired just to be human. What a story! As you have noted, we really are magnificent creatures, and the path through your odyssey as you finally return from exile is a marvel. We can all roll our shoulders and feel good to be alive... I can't imagine anyone reading this book without tears of joy coming to their eyes." "Dear Clark, I just returned from my second run since the accident and ran right into my office to write this email. After all, you are the reason I'm running again. Thank you again for writing your book. Your courage, determination, and persistence have inspired me to push through my own TBI. I love that you kept living your life because I have seen many who seem to check out and I didn't want to do that. When I'm wavering I pick up your book and even if I can only read two or three pages before the headache is too much, I do it, or I skim the pages to find more jewels. Who you are and your approach to healing resonates with me and therefore inspires me to keep up the good fight." "People have been telling me for a decade that I am crazy, and lazy, and obstinate, and that I am making all these strange things up. I never used to be this way. I keep thinking I'm not crazy, but in the end they wear you down and I think, "Well maybe I am...?" I certainly feel guilty all the time. I photocopy some tax forms and it takes me a week to recover from it. So I think, OK, that's proof I'm just nuts. Then I heard you on the radio and the sirens started going off. I race to the bookstore to buy your book and read it. Bam bang zam! That's IT. I'm NOT crazy. It is a HEAD INJURY. My family finally understands. My husband finally understands. My [darn] PARENTS finally understand. Unbelievable! Thank you." "I too found my ghost almost twenty years after my concussion. Your story could be my own. I am so proud that you wrote the book. I knew I should have done so, but just never was able to complete the task. Your story—and my story which is the same—has to be told. You will help millions of people around the world." "Professor Elliott, I too teach classes in cognitive science. The irrefutable details of your personal experience validate so much of what we academics surmise with theory, but with such fascinating and quirky twists. I've found it a phenomenal book in grounding what we try to teach. Students experience this tour through the human brain as though it were happening to them first hand." "Yes, the same weird, profound and troubling thing happens to me all the time! I watch myself moving in what ends up being extreme slow motion as though I can see all the wheels that make us human turning." "Dr. Elliott, your book has been very helpful to me. Everyone focused on my back injury, and problems with my hearing, after my accident, but the cognitive deficits (such as mapping my position in space) were troubling and persistent without anyone recognizing them. Years later my Ghost too came back, and your reference to Conrad's Secret Sharer intrigues me. Now twelve years later and living my reclusive life I am struck by how [as you describe, but also in my case too] superlative competence and raw incompetence can live side-by-side in one person." "Dear Professor Elliott, your book is being read by my son (yay!). His texts are very enlightening: Like everything I can't explain he's explaining... This book is incredible... This book is like it's written about me." "The phrase and the experience of NO LONGER HUMAN hit me so hard this morning. I was reading it on the bus on the ride in to the office; my eyes were watering. It is so essential for my son and, unfortunately, for so too many like him, to know that they are not alone. It is equally, if not more, important for medical personnel who are treating these conditions, to really get it at onset, in the ways that you make so very clear. "Speaking from personal experience, no matter how much exposure I have had, I was not capable of handling this very well, because of my inadequate comprehension of what my son was actually going through. "Your ability to articulate your own experience, from your unique perspective, lent by years of academic rigour, especially, in your specialist field of study, AI, certainly lends credibility. Moreover, you have shed light, in a profoundly instructive way, on the study of the intricate mechanisms of how we, as humans, form thoughts—the link between brain and mind. "I realize you are a Ph.D., and have earned your degrees aforehand, still, this work, imho, is an opus majus." "Dear Dr. Elliott, just two weeks prior to the start date for my first full-time job I suffered a concussion in a taxi crash on a highway. Reading The Ghost in My Brain was absolutely thrilling for me. It was only with great reluctance that I rested the book on the table so I could rest my eyes. I am writing to thank you for sharing your brilliant account of your grueling--but fascinating--experience and recovery. The way in which you conceptualize and articulate your cognitive phenomena strikes me as incredibly artful yet accurate and precise. "Several of your passages are uncannily parallel to a vivid dream I had before the crash as well as my attempts to verbalize my phenomenology as a concussive. From the first moment I became aware that my processing was altered, I sought to apply the frameworks I learned from studying cognitive science in college to gain an understanding of this drastically different universe I found myself in. Ironically, the car crash has, in a sense, served as my senior capstone class—a fortunate alternative to a senior headstone." "I read your book last week and am writing to thank you for chronicling your TBI journey. I know what it is to live with TBI. Your book was encouraging, evocative and validating, albeit at times very difficult to read as it resonated so deeply with my own newly learned truths about life after concussion. "I have recommended it as a must-read to my neurologist, optometrist, psychotherapist and speech pathologist as well as to my parents and several close friends. And I will continue to recommend it to anyone affected by TBI, for your work says so much that needs to be said, processed and understood. "I am thankful that you persevered and that you found the help that reunited you. It remains my hope that my ghost will one day re-integrate—A fellow traveler." "Dr. Elliott, I wanted to thank you so much for writing your book. It has been enormously helpful to my family. Your experience with symptoms is much like my husband's. Your story gave me insight and hope. You were able to articulate so many of the enigmas, indignities and seeming paradoxes of TBI. It was very insightful for me to be able to get inside the injured brain a bit and hear what it feels like to be in that state. I don't know how you were able to deal with your symptoms as a single parent. My husband would not be able to navigate without support and he hasn't been able to understand or explain what is going on in his head. We have been to a slew of neurologists, and neuro-pyscholgists and were really ready to pack it in on any notion of regaining any ground. However, your story of your work with Dr. Markus and Dr. Zelinzky has changed that. "It is my hope anyone who has someone in their life who has had the misfortune to have a brain injury reads your book, as it provides tremendous insight, leading to a better, compassionate understanding of what is going on, and what the person is going through. "When you describe how a TBI victim can be seen as 'becoming difficult,' how your words resonate! Had I been able to read your book at the outset, I know I would not have been so confused, by my daughter's behaviour, changes in her personality as she developed compensation and avoidance techniques—as you flesh out so fully—and, I would have known what to do to help her!" "Reading your story brought tears of compassion and frustration for the lack of initial effective professional support. I do appreciate tremendously you sharing your experience and helping others, like me, to try to understand the inner "roads" that make our brain the most complex organ in our body. I also want to express my gratitude for introducing the concept of brain plasticity—a topic that I began to read more about in my quest to aid the full recovery of my son. "Your story has helped me to have a better understanding of the complexity of brain injury; complexity my son cannot articulate in the same way. "Thank you for your persistence and determination to get better because your effort is bringing light about both the complexity of brain injury and also the lack of information, perhaps even willingness, to offer effective and affordable treatment to the many children and adults affected by this condition each year." "Greetings, Professor Elliott. I too suffered a concussion eight years ago, and still deal with it every day. The biggest drawback seemed to be, I looked normal! As the weeks passed I realized I could not multitask--anything! Words on a page or computer went from right to left and back before settling down. I had moments when I had no idea where I was although I could see everything. Words came out that had nothing to do with what I was talking about. There was a disconnect between what I read and what I thought it said. Comprehension was on a slow track. "Then last night, OMG! I caught your interview on Coast to Coast and if I did not know better you could have been telling my story! Unbelievable." "Dr. Elliott: I suffered a concussion two and a half years ago. I've just recently returned to light duty at work. The workman's compensation doctor says there is nothing wrong with me and that I'm "just malingering." I'm close to where the accident happened, and I've cried every day when I pass by. Thank you for explaining so clearly what this is like, and also making it so clear that this is real. "I don't know why I'm writing to you, but to tell you yes, it has happened to me, and my doctors DON'T believe what I'm going through and I'm facing all my problems almost by myself, so thank you for sharing your story. It's just—most days I'm so confused and don't know who I am." "Excellent resource. Easy to read. Wish more physicians knew the strategies outlined in this book." "Dr. Elliott, I was shoving parts of even your author's note at my friends, showing them that look, really, it's not just me! Other times I had to stop reading for a little, [overwhelmed] when things were just too familiar. I can't tell you how validating it is to read someone else's experience of not feeling human, missing one's former self, and struggling with everyday tasks. "The concept of batteries, though mine were less well articulated, absolutely fit with my experience, as were getting stuck, and the trick (though also weakness) of rule-following mode. "In my case I thought of my post-concussion self as a genderless, inhuman, and only barely competent robot/autopilot impostor, trying very hard to keep up appearances. The moments when I would get "stuck" and shut down were particularly the robot's problem, and not mine--even as I would have some memory of my old self. "I wish I had had book this sooner, or that my doctors had! You can pass on this warning: I too had people who took advantage of me during "stuck" and "rule following" periods, after I drove myself into deep fatigue trying to get through my master's program. "I too had to sit in a darkened classroom long after class until I recharged enough to get home. "I found my iPhone and Siri invaluable to help with organizational tasks and reminders, because I too had great difficulty with calendars. You should suggest this modern technology to your readers." "I cannot recommend this book highly enough to those with concussions and their families. I read it and cried with recognition at parts. I will be sending it to the friends who were baffled by my own experience. It contains confirmation that the symptoms I'd experienced were real: that you really can be incapable of making simple decisions, of getting out of a chair, or even feeling human, all while feigning normal for the outside world. Even for those who might not have access to Dr. Elliott's recovery techniques, his various coping strategies are invaluable, as is his clear explanation of how the brain works and where concussions can disrupt it." "Hello Dr. Elliott: I have post concussion syndrome following a rear-end motor vehicle accident in which I stopped for a school bus and was rear ended by a young man driving at a high rate of speed. I have experienced much of what you describe in your book about how the medical community reacted, including being screamed at by a neurologist at a hospital who had no clue what was wrong with me [and thought I was faking it]." "[My sister] isn't a concusive, however she had brain surgery and is epileptic. Her behavior can be very peculiar, and now I understand her a little more." "I was searching for information on concussions and I found your story. I identified with your descriptions. Last November, I slipped at work, fell, and was left unconscious for 15 minutes. MRI shows nothing. I went back to work in December on advice of a terrible neurologist. Scared. "In April, strange symptoms began: inability to consistently distinguish between left and right; math problems (cannot subtract and have problems with lining up columns); feeling of having an extra finger and itch and pain in this non-existent finger; inability to tell which of the two middle fingers are touched; and a feeling as though I am living outside my body--this just is NOT me. I cannot get answers from my neurologist or occupational therapist. I am very concerned and NO one believes me. Not even my live-in girlfriend, who keeps telling me to go back to work. I am lost." ...the strange OCD-like symptoms and the difference between knowing and certainty. Sometimes I just can't "get" that some task is really complete, even though I know that it is. ...I can't do more than one thing at a time any more without becoming a vegetable. ...I lose my balance just from thinking. ...I can't follow what people are saying to me, even though it seems like my ears are fine. ...the over-night complete and troubling loss of my spiritual life. ...my strange inability to understand what time and calendars mean any more. ...why I seem just fine one minute, and yet ten minutes later I am completely unable to function. ...why I can't find my car after shopping. ...the detailed example of your analogical brain running in slow motion. Mine does too, just like that! ... why a simple cold turns me into a simpleton. ...the relentless guilt all the time without knowing why. ...the complete loss of my sense of direction. ...my need for what you call rule-following mode because I can't make decisions. ...the excruciating pain of sensory overload. ...my frustration in trying to have people understand that I have not become crazy or stupid overnight, but just that my brain is broken. Dr. Elliott, I'm not sure if you remember me, but I meet you at the Printers Row book signing for The Ghost in my Brain in Chicago. I suffered a concussion after a car accident five years ago. I have my new glasses from Dr. Z and have seen Donalee four times and I AM BACK! It is so amazing to see the difference to where I was before and where I am today. I can think clearly, am much more productive, and just flat out happy. I want to thank you so much for writing this book. I do not know where I would be without it. Once again, thank you thank you thank you! "Gave us hope and led us to two wonderful and inspiring doctors—Zelinsky and Donalee. Have started working with them and can already see a difference after two weeks! Thank you, Clark. This book is an essential read for any family/friend going through the horror of brain injury. After 2.5 years of watching my husband get worse and revert to early childhood, I now have new insight into his behavior and much more compassion. It is the difference between giving up and sending [him] to a nursing home at age 61, and having the strength to stay by his side and fight to get him back!" "Dear Clark, we are so grateful that you published your story which led us to these great healers. Despite my son seeing a neuro-endocrinologist, an ENT specialist, a concussion specialist, and having a year of cranial-sacro therapy, cognitive behavior therapy, vestibular therapy, acupuncture, 5 MRIs, and being pescribed Topamax, his post-TBI headaches were persistent—exacerbated by loud noises, and even driving long distances. His doctors claimed it was due to anxiety and that he was 'completely healed,' but we knew that was not true. Now after seeing Dr. Zelinsky, progress is being made for my son for the first time since his injury four years ago! The graininess in his peripheral vision is almost gone. For the first time we have high hopes that he will finally be symptom free. We've identified a specific problem pathway using, of all things, scotch tape on one of his lenses which helps with his fatigue and the headaches [and makes a great fashion statement for a college kid too :-)]"
Just huge thanks and I look forward to anything more you publish. "Dear Prof. Elliott, as the mother of a college-age daughter who suffered a debilitating sports TBI three years ago I want to thank you so very, very much for writing your book. She is already seeing improvement. We have met numerous people at the two offices (Zelinsky / Markus) who feel, as we do, so grateful to you."